Obie Trice is gearing up for the April 3 release of his new album, Bottoms Up, with his mixtape Watch The Chrome. 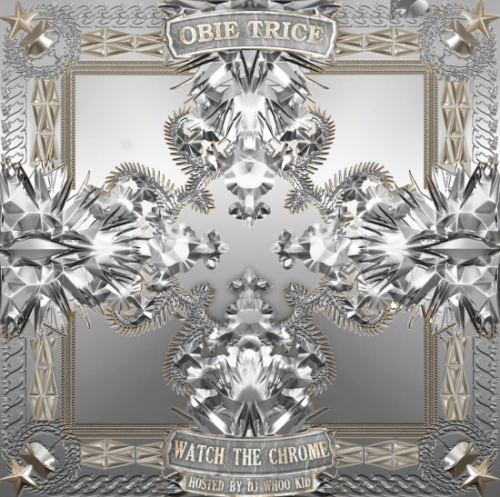 Given the mixtape title and artwork, Watch The Chrome is obviously taking some shots at Jay-Z and Kanye’s Watch The Throne. This mixtape goes hard and shows us that even though Obie Trice has been relatively quiet he can come back at any moment and strike with force. Please head through the link provided to download Watch The Chrome and click past to view the official track-listing. Comment with your thoughts on his new effort after you listen and let UTG know if you plan on purchasing Bottoms Up!